Video is a must for your business whether you are flying solo or a huge corporation. Nowadays, all your gadgets have those little red ‘record buttons.’ But, are you using your camera and video the best way you possibly can? Video 101 provides the foundation you need to take advantage of using video for your business and website. 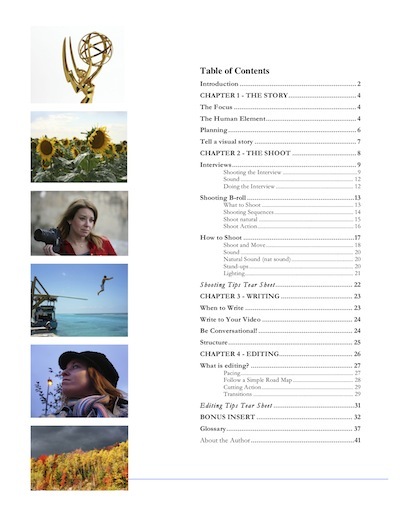 It is chock full of real information and tips that I guarantee will help improve your shooting and editing skills. It is much more than just a simple outline or Top 10 list of video how-to. This is the real deal and full of crunchy nuggets that I learned from four years of Broadcast Journalism school + 15 years as a TV producer in the industry. My eBook will give you the tools you need for all things video, including: story planning, shooting, writing, editing, and so much more. Video 101 now for $5.99! 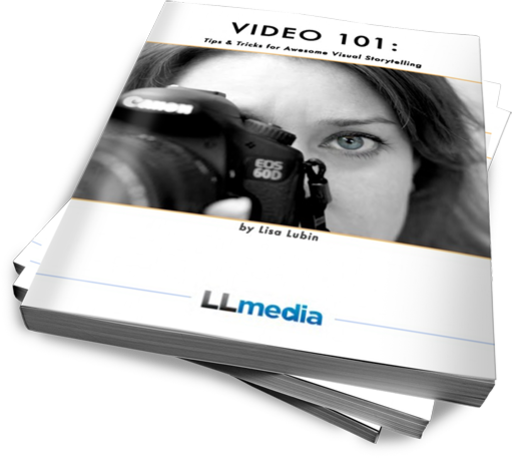 “Video 101 is a simple to understand, practical and must-have guide to better video production. Because of the down to earth way she writes I found it easy to grasp the terminology and concepts that Lisa puts forth…she’s obviously a seasoned veteran, punctuated by the fact that she’s won 3 Emmys. 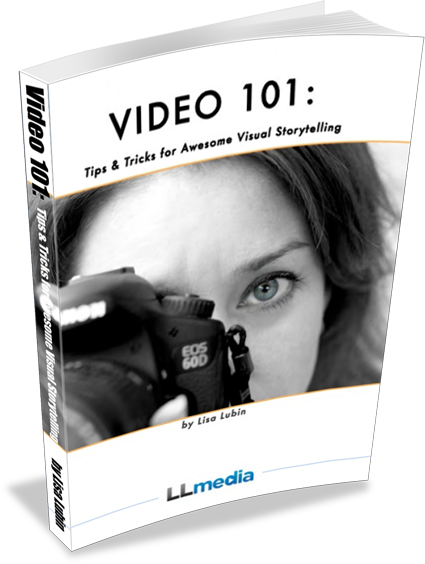 I highly recommend Video 101 to anyone just starting to explore video production, you’ll immediately be able to put her myriad tips and hints into practice…you simply can’t go wrong with this book. BUY Video 101 now for $5.99!